Please note that we ONLY SHIP TO THE CONTINENTAL UNITED STATES. All orders from Alaska, Hawaii, and international orders will not be processed. All Havalon orders ship via FedEx Ground Service or FedEx Smart Post (USPS). for a flat rate of $10.00 for up to 10 items. 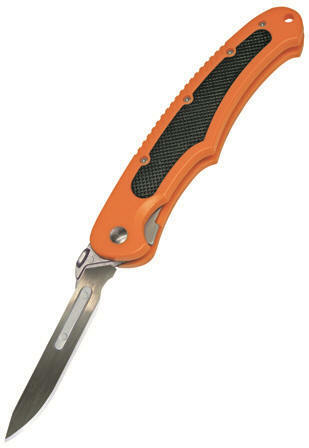 For faster, easier field dressing and skinning of deer, elk, bear, boar and just about any critter you can hunt, the Piranta-Edge in easy-to-find blaze orange is our best selling knife. 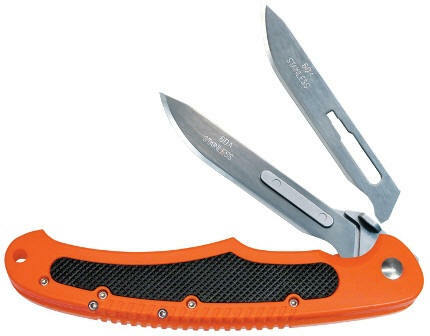 It's always crazy sharp - just replace the blades and go! 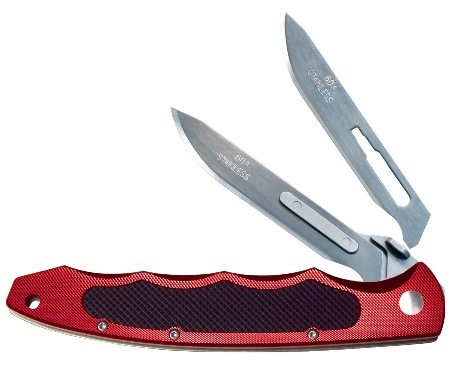 Lighten your load on your next hunt with our new Piranta-Torch hunting and skinning knife. It features the #60A blade riding on a rugged 6061-T6 aluminum alloy handle. With the Torch you’ll process more hide and meat faster than you ever thought possible. 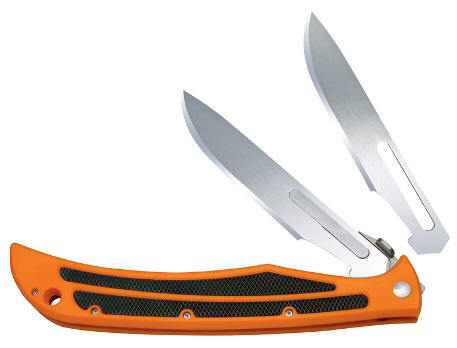 Our Baracuta fillet blades (127XT) and handles are interchangeable with the new Baracuta-Blaze hunter blades (115XT) and handle. Now you have two blade options that fit your favorite Baracuta knife. What’s not to love? As always, your satisfaction is guaranteed or your money back. As always, your satisfaction is guaranteed or your money back. ORDER TODAY!